And here is the rest of our top 10 most searched phone numbers in March! Harassment calls, users claim that it is a company named Indian Fraud Scam with a tellows score 8. 11 ratings and over 2k search requests. Untrustworthy number, possibly a company named JGV with a tellows score 7. 135 ratings and over 71k search requests. Neutral number, supposedly a company named Synchrony Financial or CareCredit with a tellows score 6. 16 ratings and over 23k search requests. Cost trap, presumably a company named USAFIS with a tellows score 8. 10 ratings and over 3k search requests. Harassment call, with a tellows score 8. 30 ratings and over 19k search requests. Trustworthy call with a tellows score 4. 94 ratings and over 72k search requests. with a tellows score 7. 41 ratings and over 38k search requests. To conclude our list of top 10 most searched numbers of March in the US, we have tellows scores ranging from 4 to 8, which highly suggests that they are not trustworthy. 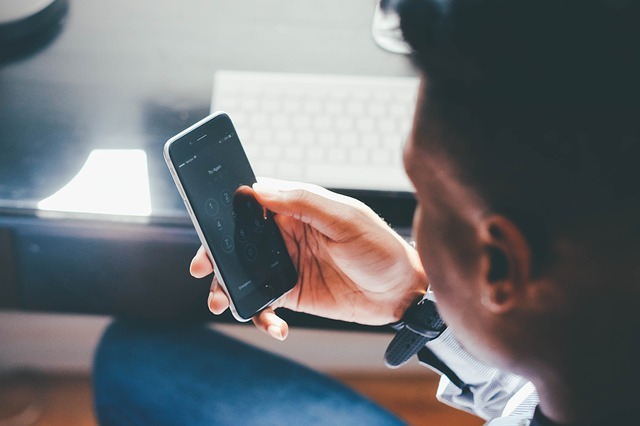 Users’ comments and ratings also implied that most of the unwanted calls show characteristics of a cost trap, which callers tend to gather personal information especially bank account or credit card details. 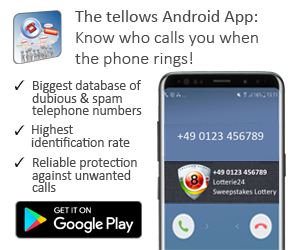 tellows would like to keep you alerted regarding these dubious phone numbers, and particularly the top 10 most searched numbers, because big chances these are spam calls. 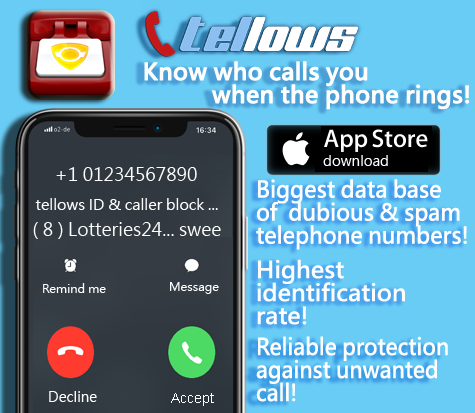 Join us and leave a comment if you receive any call from the numbers above or calls share a similar characteristics, the more you share your experience on tellows, the less phone scam will happen to you and the others! Thank you for reading our blog! For more information about the tellows app please click here and download the tellows app for iPhone or Android, let us know how do you like the app and our platform! We welcome reviews on app store and Google play, you can also leave comments on our website.